Isn’t it time to stop asking what would Dr. King say? Today we observe the birthday of a great American, Dr. Martin Luther King Jr. His contribution to the civil rights movement is incalculable. He is an American hero, but he has been dead for almost 50 years, and people are still asking in times of crisis “what would Dr. King say?” People who knew him well and people who did not know him at all are ready to respond on his behalf, but this does him a disservice. So many of the people who were around him have evolved on issues but King still has the opinions he had in 1968? No one knows what King would have been like had his life not been cut short. So why do we keep asking the question? King was relevant in his day, but his day has past. We can revere his memory, but we have to look forward not backward as we face the problems of this century. April 4, 1968-The day Martin Luther King was killed…48 years, what has changed? Martin Luther King’s birthday is a national holiday. It is worthy of celebration but, April 4, 1968 is also significant it is the day King was killed. King was in Memphis working with the garbage workers. The simple slogan on their picket signs said I AM A MAN. A simple theme that still resonates 48 years later. What makes a man? Is it the ability to take care of himself and his family? Or is it taking responsibility for the family you create? Is it having a full time job that covers your bills, and lets you save a little for the rainy day that is sure to come? This was the desire of the men picketing 48 years ago. King lost his life in the fight for justice, but sadly in 2016 too many black men are still posing the same questions over 4 decades later. it is unfair to say nothing has change in 48 years because that is simply not true, but for there are too many men in 2016 that could still wear the sign.Share your thoughts. By musesofamom | Posted in Ebony Mom Politics | Also tagged African American, black america, black men, Black People, Black women, cbs, CNN, Current Events, I AM A Man, MLK | Comments Off on April 4, 1968-The day Martin Luther King was killed…48 years, what has changed? 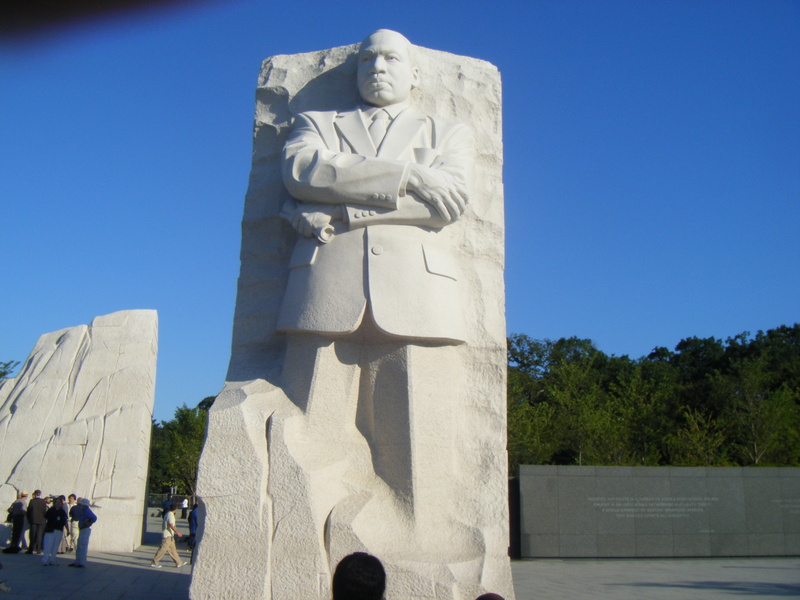 Do you think Dr. King could be heard in our society? Dr. Martin Luther King Jr. lived this quote. He was fearless in the face of an ever present danger. He railed against the system, but never showed rancor. Yes, he showed anger, but he never disrespected people. He did not demonize his opposition, but he tried to bring those who opposed him to his way of thinking. It is amazing to see what he achieved and in inspired in his short lifetime. He had a dream but he can not simply be relegated to the role of a dreamer. He was a man of faith who knew faith without works is dead faith. He fulfilled his purpose, but we are left here with work to do. We can not wax poetic about his works that would be a disservice to the legacy. We to stop merely observing life’s ills, but seeing how we can change the people in our world. We probably will not stand on the big stage like Dr. King, but if we stand on our personal podiums and do the work we all can help change the world. As we remember Dr. King today we are humbled by his contribution, but we can not be intimidated by it. King has been immortalized in the DC mall and it hard to reconcile that he was just a man. He was human not super-human, a man not a superman, a child of God, not a God. When we see him as a man, and recognize his humanity, and his flaws then we can see our contribution might not be like, his but we are capable of doing something. We can do more. We have to enlarge our prayer from “us four and no more” to what can I do in my world? Share your thoughts. Is the SNL MLK skit funny? Watch the skit and share your thoughts. By musesofamom | Posted in Ebony Mom Politics | Also tagged African American, African Americans, black america, black men, Black People, Black women, cbs, Current Events, MLK Day, race, racism | Comments Off on Is the SNL MLK skit funny? 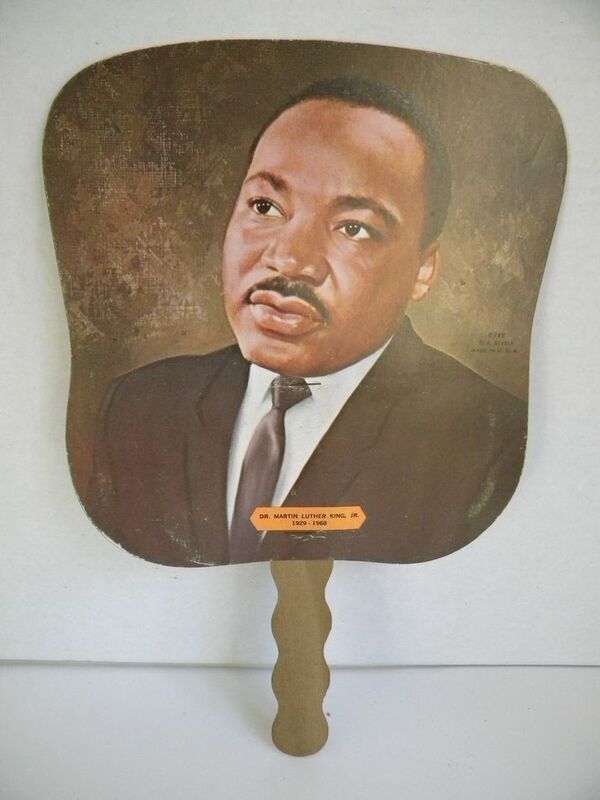 The Martin Luther King Jr. fan was a staple in the black church. He looked serene and angelic and we revered him. He was celebrated, but at some point the celebration turned into adoration, and he became high and lifted up, but he was just a man. He was mortal and he had all the human flaws that we all struggle with and against, but he made a decision to do something. He could have had a comfortable life free from controversy, but that is not the path he followed. What is your path? What do you see in your world that is worthy of changing? We often say I can’t do everything, but is the other option to do nothing? For far too many years we have tried to measure up to an ideal and that is not fair to us nor was it fair to him. The church fan is a thing of the past and hopefully so is the adoration. We can still admire the man and his work, but let’s not forget he was that a man with a mission. He accepted his… now what are we going to do? Read linked story and share your thoughts. GOP and Dems Sing We Shall Overcome on the 50th Anniversary of the Civil Rights Act…is this what unity looks like? *No cats were harmed in this analogy. By musesofamom | Posted in Uncategorized | Also tagged 50th Anniversary of Civil rights Act, African American, Barack Obama, black america, black men, Black People, Black women, cbs, CNN, Current Events, Lyndon Johnson, MLK, Morning Joe, MSNBC, nbc, News | Comments Off on GOP and Dems Sing We Shall Overcome on the 50th Anniversary of the Civil Rights Act…is this what unity looks like? Why do we care if the King Kids sell Nobel Peace prize? Martin Luther King Jr. is an American hero. His birthday is a national holiday, there is a monument of his likeness in the nation’s capital and he has been on the cover of the church fan for over 40 years. We feel like he is almost a member of our family, but he is not. Yesterday Bernice King released a statement that let the world know her brothers Martin III and Dexter want to sell their father’s Bible and his Nobel Peace Prize. She is opposed to this move and from the posts I read yesterday most of the writers were too. When i shared the news with my husband his question was “do the brothers have jobs?” I don’t know if they work but they all have been living off the legacy and now two want to cash in. so many people feel like selling these items are an insult to MLK and his legacy, but he was not our father. He was a leader and his accomplishments can not be diminished. Years ago I had a friend who when she needed money would look around her house for things that she could return to the store for quick cash. She would find the receipts and cash in because she needed money. The King sons are doing the same thing on a larger scale. They have looked around and decided to sell what they see to the highest bidder. We might be appalled by their action, but he was not our father. The Kings are the heirs to their father’s possessions and therefore they have a right to do with them what they pleased. We might not like it but it is family business and we are not in the King family. By musesofamom | Posted in Uncategorized | Also tagged African American, African Americans, Barack Obama, black america, black men, Black People, Black women, cbs, CNN, Current Events, KIng Kids want to sell Nobel Peace prize, King sons want to sell bible and peace prize, Morning Joe | Comments Off on Why do we care if the King Kids sell Nobel Peace prize? 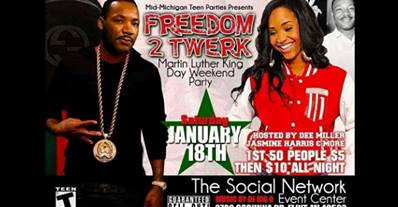 Is this any way to honor Martin Luther King? Is this how we honor the visionary? Read the linked story and share your thoughts.